We guessed something was up when we discovered the town square was almost entirely covered with a giant white marquee, within which hundreds of tables were neatly set with white table cloths. Those parts of the square which weren’t covered by tent were in the process of being transformed into a fairground, with all sorts of rides and food stalls being quietly assembled. Oktoberfest was coming to Saarlouis on Saturday, and with Tuesday next a public holiday, the town gave every indication that things may not quieten down for some time to come. We thought about where we might be on the weekend and on balance, having no mates in town, not being fond of beer, and with one’s best lederhosen at the cleaners, thought perhaps we might give it a swerve this time. 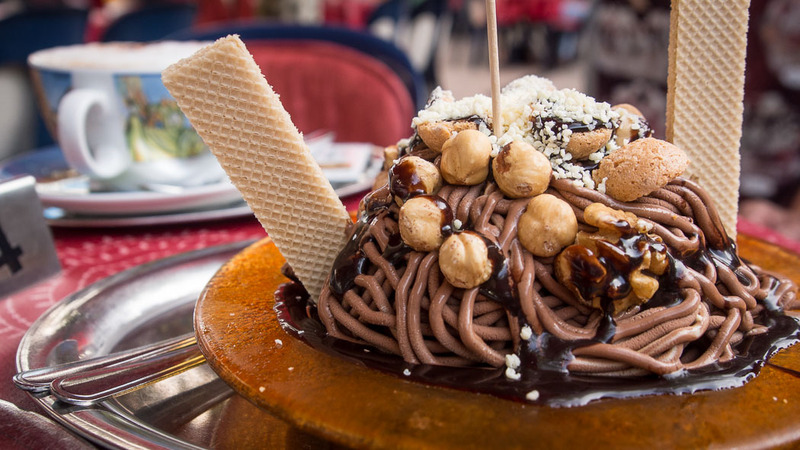 But we didn’t waste the opportunity to have a spaghetti ice cream and a coffee while we made our plans.